The 285 TechConnect Radio Club produces an annual TechFest in November. The TechFest has 5 hours of presentations on technical topics related to amateur radio, plus a “demo corner” where club members show off some of their operating technology. This year, the Fall TechFest will be held on Saturday, November 2nd. The 2019 presentation schedule will be posted here when we start our planning. 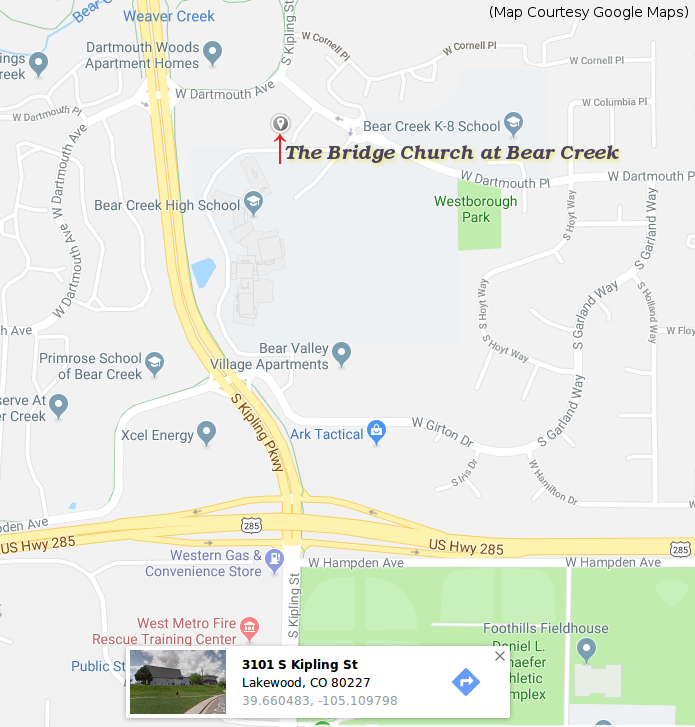 The 2018 TechFest was held at The Bridge Church at Bear Creek, 3101 S. Kipling St. This new location provided a great room, plenty of parking. and easy access from Hwy. 285. It's just up the hill East on Dartmouth from Kipling Parkway, on the South side of Dartmouth. Here is a map. We extend our thanks to the ARRL, and The RF Adapter Guy for providing door prizes. We had 113 hams and soon-to-be hams at our 2015 Fall TechFest. Our 2014 Fall TechFest was held November 1, 2014. 101 hams and soon-to-be hams attended. Check out our photos.